Convert all of your 35mm, 127, 126 KPK, 110, negatives, 8mm and Super 8 films into 20 Megapixel digital JPEG files. Preserve them forever! Images can be saved directly to the internal memory, or on any SD/SDHC memory card. 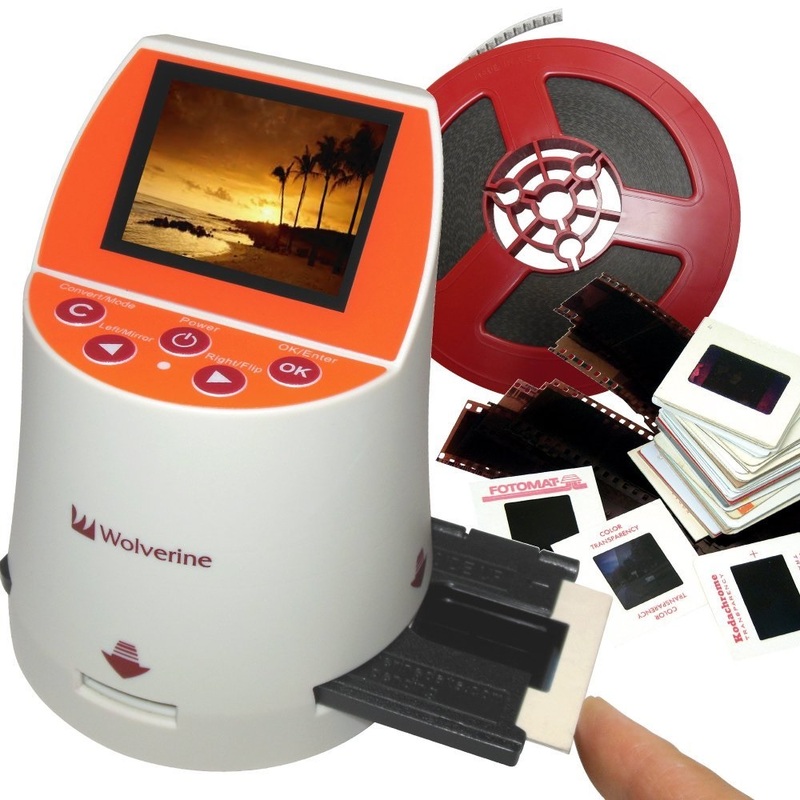 The Wolverine F2D Mighty easily connects to any Windows or MAC PC for digital storage. No computer or software is needed. Just plug into any AC outlet or USB port and start scanning right out of the box. Front loading scanner and push slides cuts scanning time in half. Includes fast loading trays for scanning slides and negatives quickly and effortlessly.